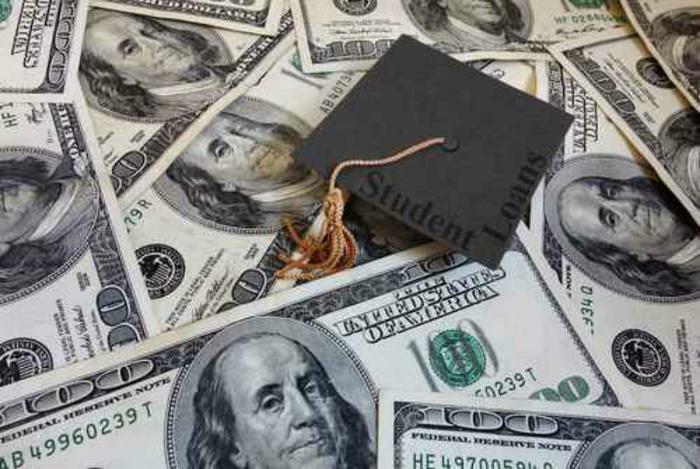 A recent study suggests the student loan problem has grown, in part, because most borrowers had little or no understanding of the process before taking out huge loans. In its study, Student Loan Hero -- a firm offering tools to organize student loan debt -- found that people who borrow money for higher education often walk into the process blindly, uneducated about how their loans work, not understanding how interest accrues, and being unaware of which loans are eligible for forgiveness. An analysis of government data by the Consumer Federation of America (CFA) found 1.1 million student loan borrowers were in default in 2016. By the end of that year, 42.4 million Americans owed $1.3 trillion in federal student loans. That doesn't count money borrowed through private student loans, credit cards, and home equity loans. A year ago, the Federal Reserve put total outstanding student loans at $1.4 trillion. The Student Loan Hero survey of borrowers uncovered a number of misconceptions. Seventy-one percent of student loan borrowers believe their private student loans are eligible for Public Service Loan Forgiveness. In fact, only certain federal loans are eligible. More than half thought the monthly payments on a standard repayment plan are based on income, when in fact it requires fixed payments over 10 years. More than half also said they aren't worried about accruing interest on their unsubsidized student loans while still in school. The truth is that interest accrues on unsubsidized loans from the date they’re disbursed. Erroneous beliefs about student loans can lead to serious mistakes. As an example, the study's authors say a borrower might choose a public service career, only to discover that their student loans aren't the kind that can be forgiven that way. At the same time, borrowers who would benefit from an income-driven repayment plan might not realize they have to apply for it. There also other factors that can ease the student loan burden, but only if the borrower is aware. "Family size is an important factor in the IDR (income driven repayment) calculation," said Tom Knickerbocker, executive vice president of Ameritech Financial. "Borrowers who do not report an accurate family size risk an inaccurate and potentially unaffordable payment. Therefore, it's important to put some thought into it. And if family size changes, just like if income changes, it's important to recertify an IDR to accurately reflect those changes." To clear up the confusion, Student Loan Hero concludes that lenders need to do a better job of educating borrowers and their families about student loans and how they're repaid. To learn more about the student loan process, check out ConsumerAffairs' resource guide.